Main diagram: Includes the mini-B USB connectors, TVS diodes for protecting the USB lines and the output connectos. I let the footprint for two kind of conenctors: screws or pin strip, in order to plug the board directly on a breadboard. 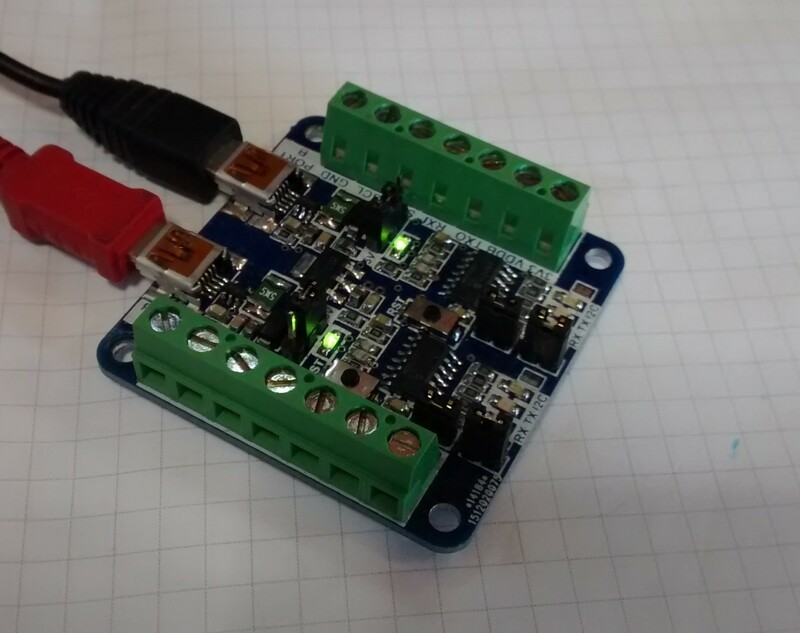 Power supply stage: The board is powered with the 5V-USB voltage. On every power input, I add a 0.5A polyswitch fuse to protect the USB port. 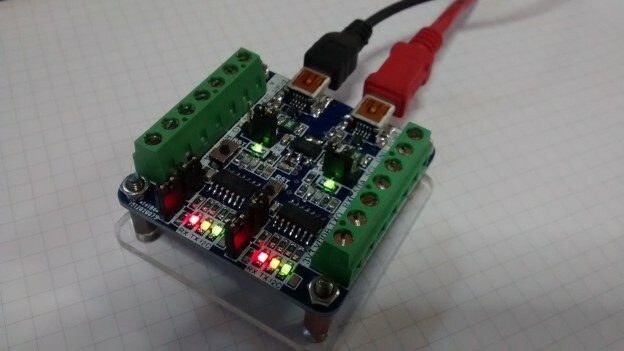 Both 5V-USB voltages are put in parallel using two SSA33 diodes, and the output is connected to the input of a NCP1117-3.3 LDO regulator, to obtain system 3.3V. 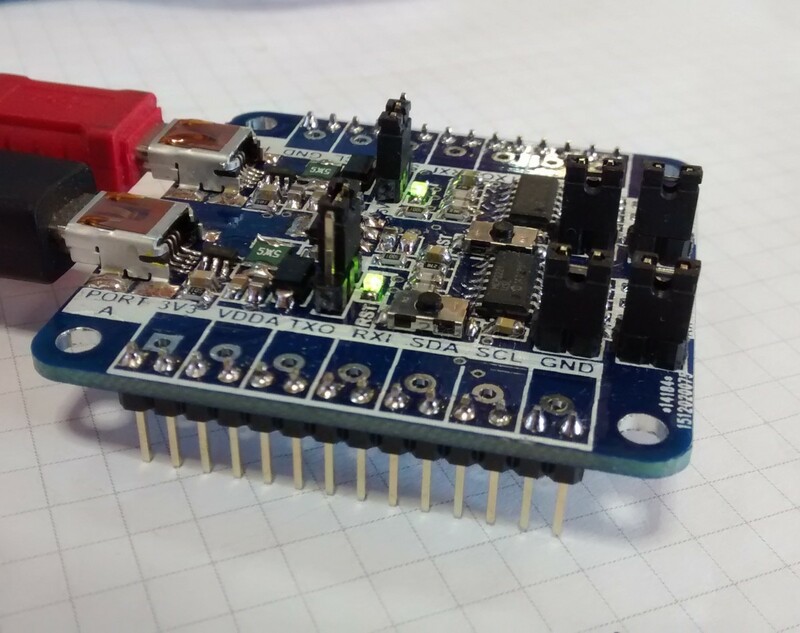 MCP2221 can work with 5V or 3.3V levels, depending of the voltage at it’s powered. 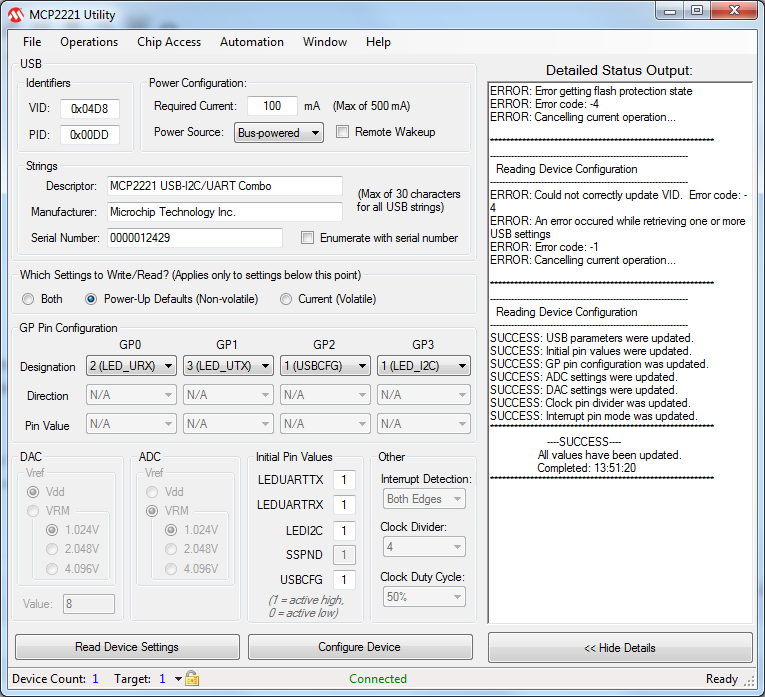 For both converters, I let a switch to select the power supply (VDD_A and VDD_B). 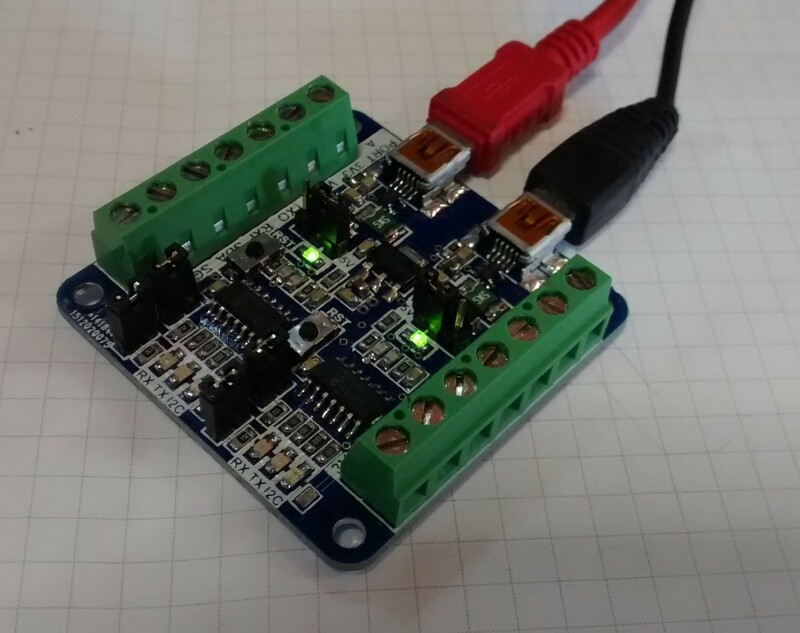 So, with only one jumper per converter you can select level of the signals: you can use the board with 3.3V or 5V systems, or with a mix of both! MCP2221 USB/Serial bridge (B): Same as the above. 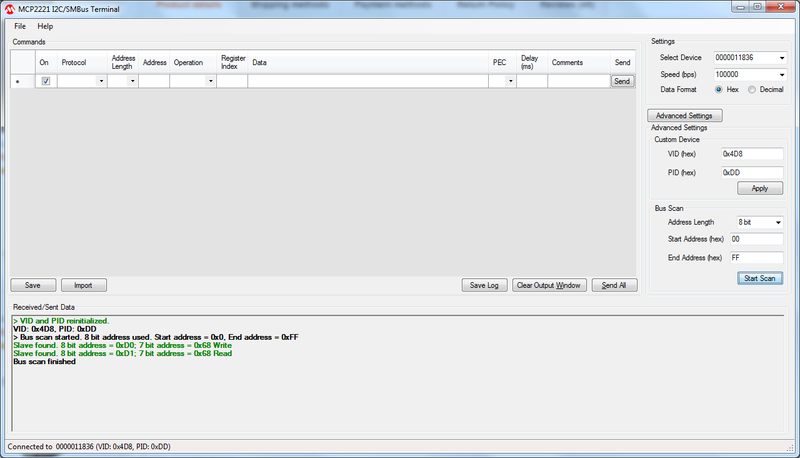 On the software side, to use the board the first step is install the driver. On Microchip MCP2221 webpage there’re drivers for all the operating systems. If you’re windows user, just click here to download the install file. 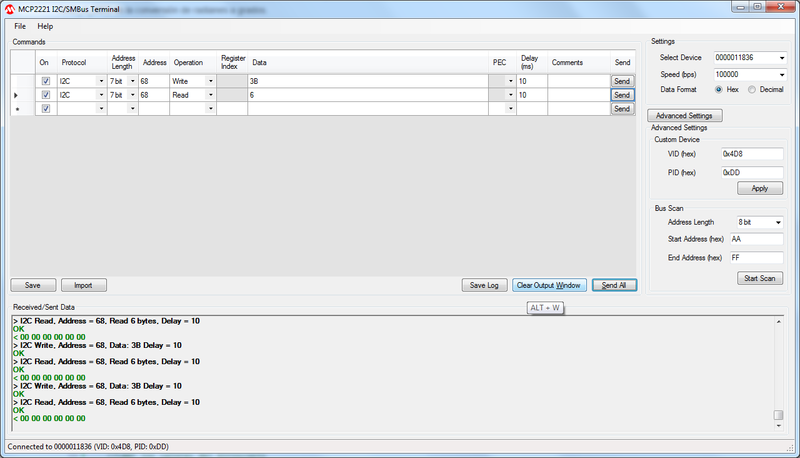 After you know the device address, on the upper side of the application you can send it commands and request info for the device. 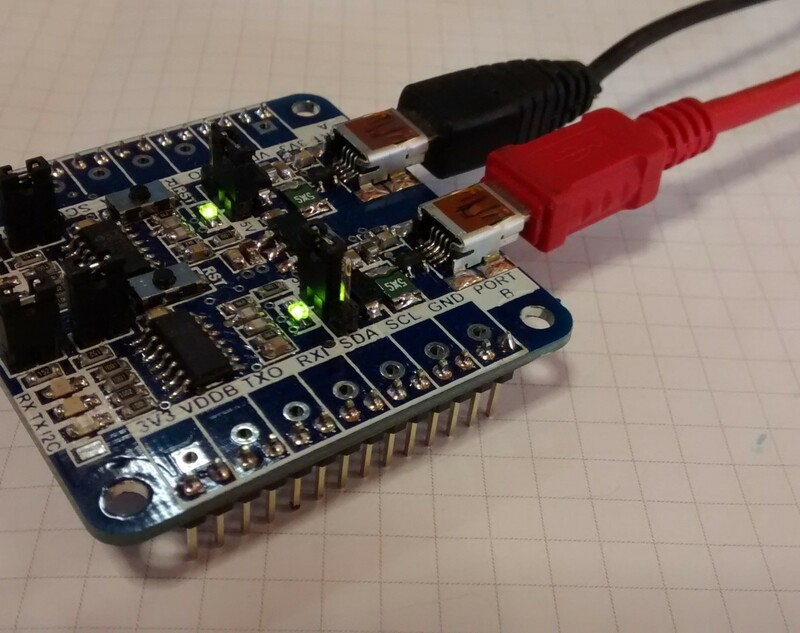 It’s a useful tool to check and communicate with I2C devices! 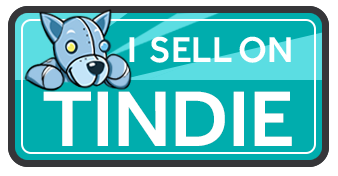 Will you be selling on Tindie – or some other source? 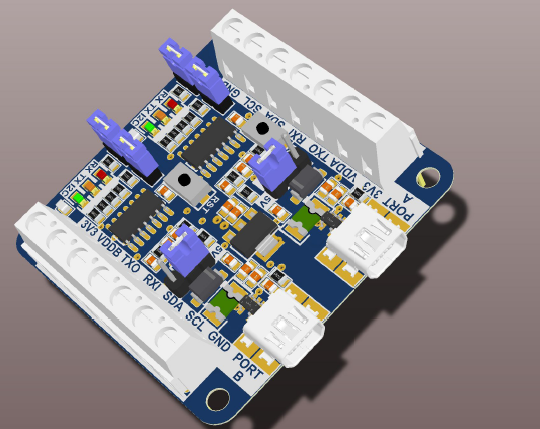 Pingback: Dual USB Serial and I2C Converter « Adafruit Industries – Makers, hackers, artists, designers and engineers! Wouldn’t adding eg a USB2422 USB hub make sense? Then you only need one USB cable to connect it. It’ll probably be compact and convenient, and might even be slightly cheaper. The software documentation is written in German. 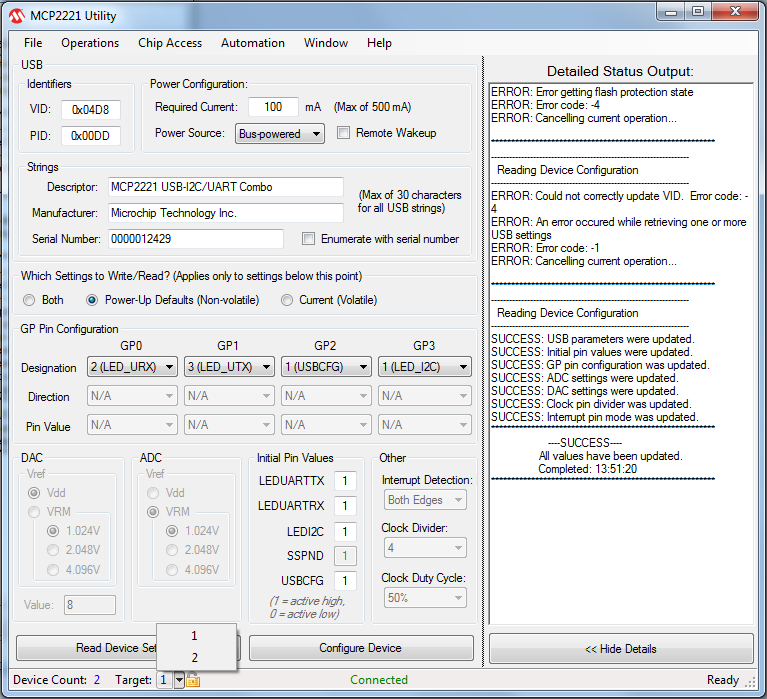 There are two Delphi7-dcu for the MCP2221: first as a demonstration with all procedures and second as a full version. Dirtypcbs i do not have any try, but i think you can try wellpcb and you’ll know what the quality is excelent for the price. Thanks! I don’t have any doubt about quality of wellpcb, but a first look at the fast price calculator, prices are higher than Dirtypcbs. 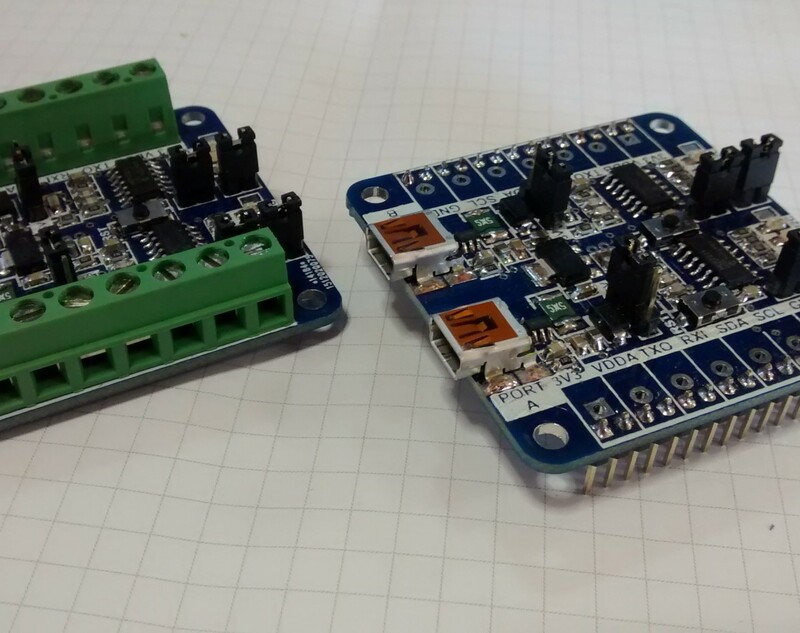 And ofr makers and hobbyst like me, price is an important factor to have in mind when ordering boards. Yes, price is an important factor to have in mind when ordering boards. 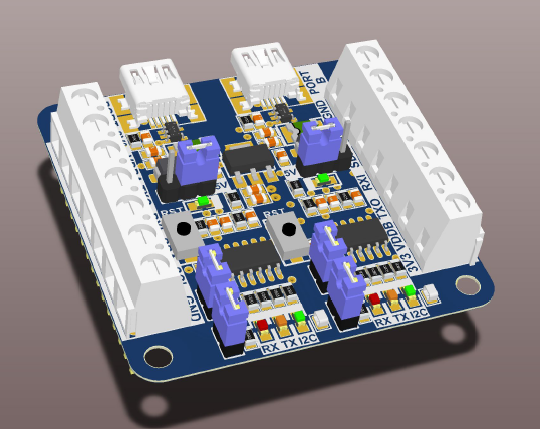 Wellpcb now has a Christmas promotion and orders $ 3.99 on the site! This is surprising. I tried a small order, looks good, silk screen is good. 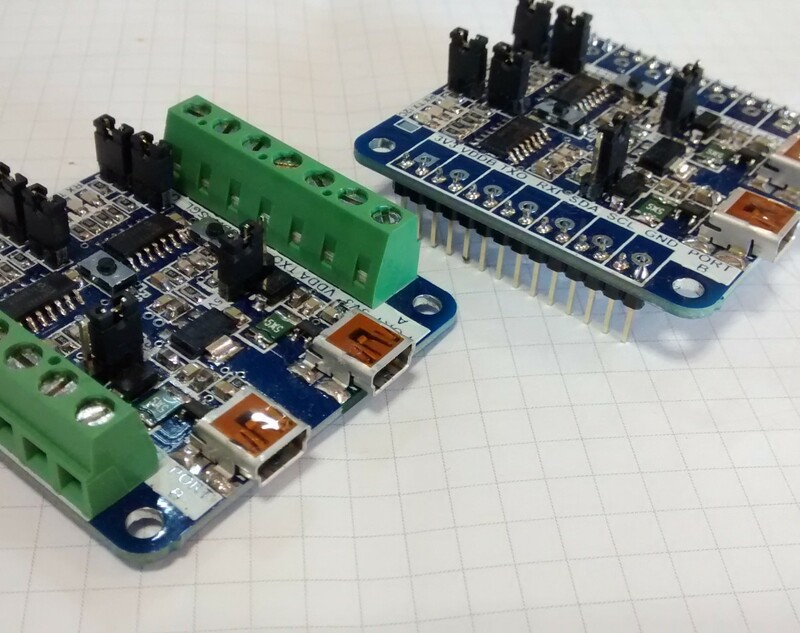 You can try ourpcb, now buy PCB prototypes, get free components! Great blog. i ever tried dirtypcb, but since i knew jlcpcb(https://jlcpcb.com/), I prefer to use JLCPCB services. It took only few(normally 2-3 days) days to finish my board, and another 3 days for express shipping. Decent price, and fast service. maybe you can try it too.